The Cleveland Browns got a little bit of good news and bad news on the injury front Wednesday. 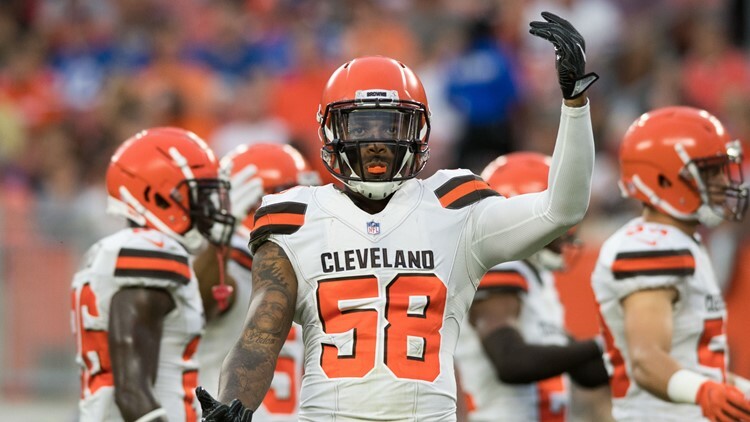 BEREA, Ohio -- Veteran linebacker Christian Kirksey has been one of the few stalwarts on defense through the Cleveland Browns’ recent struggles, but the team will play the final seven games of the 2018 regular season without one of their leaders. 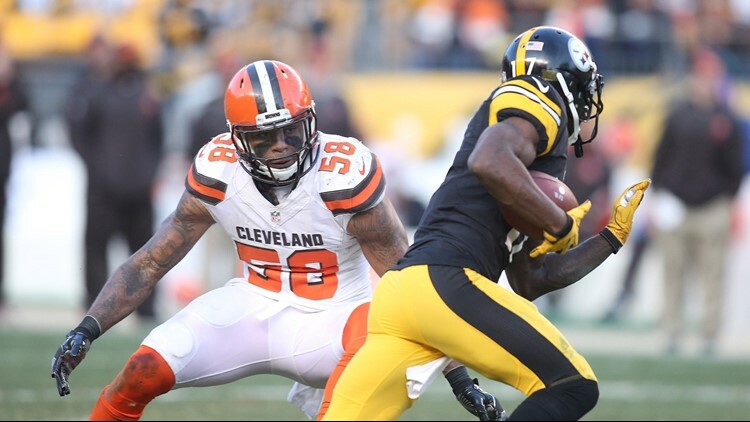 Because of a hamstring injury, Kirksey was placed on injured reserve, bringing his season to a premature end for the first time in his five-year career with the Browns. “I think Kirksey is kind of the heart and soul of the defense, heart and soul of the locker room,” fellow linebacker Joe Schobert said. “On the field, just how he goes about his business and the energy he brings. Cleveland Browns linebacker Christian Kirksey tracks a rusher during Wednesday's practice for this weekend's regular-season opener against the Pittsburgh Steelers at FirstEnergy Stadium in Cleveland. According to interim coach/defensive coordinator Gregg Williams, the Browns placed Kirksey, along with defensive back E.J. Gaines (concussion) on injured reserve Wednesday because the organization had to do right by the players. Linebacker Christian Kirksey is confident the Cleveland Browns are "going to keep fighting" through the struggles that find them in fourth place in the AFC North Division standings. When looking to replace a player like Kirksey, the Browns want someone to fulfill multiple roles for the defense. “The experience factor is always a part of anything you are doing at this very level,” Williams said. “He has things -- or has been through things -- that are common-sense things to the league. As coaches when you experience things, they experience things. Cleveland Browns inside linebacker Christian Kirksey (58) defends Pittsburgh Steelers wide receiver Eli Rogers (17) after a catch in overtime at Heinz Field in Pittsburgh, Pennsylvania. 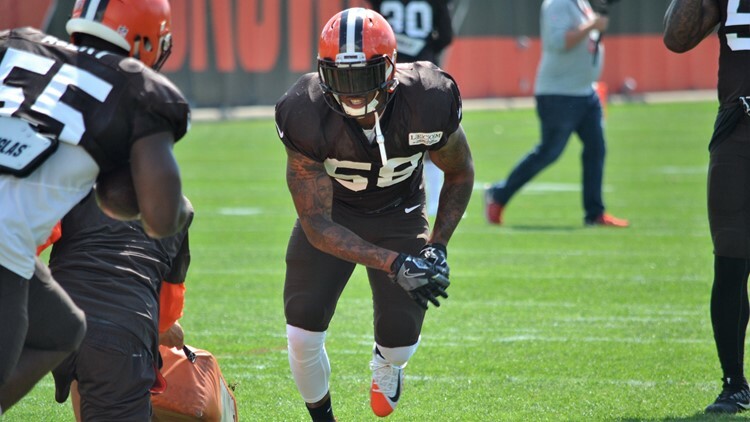 Kirksey, Williams is confident heading into Sunday’s game against the Atlanta Falcons at FirstEnergy Stadium in Cleveland. Cleveland Browns linebacker Joe Schobert tracks a ball carrier during Wednesday's practice for this weekend's regular-season opener against the Pittsburgh Steelers at FirstEnergy Stadium in Cleveland. The return of Pro Bowl linebacker Joe Schobert is part of what could help the Browns “be ready by Sunday.” After three games on the sidelines because of a hamstring injury, Schobert returned to practice on a limited basis Wednesday. “He did real well,” Williams said of Schobert’s efforts in Wednesday’s practice. “I thought he bounced back fine, and I thought he moved from his coaching role the last few weeks to right back into the playing role. 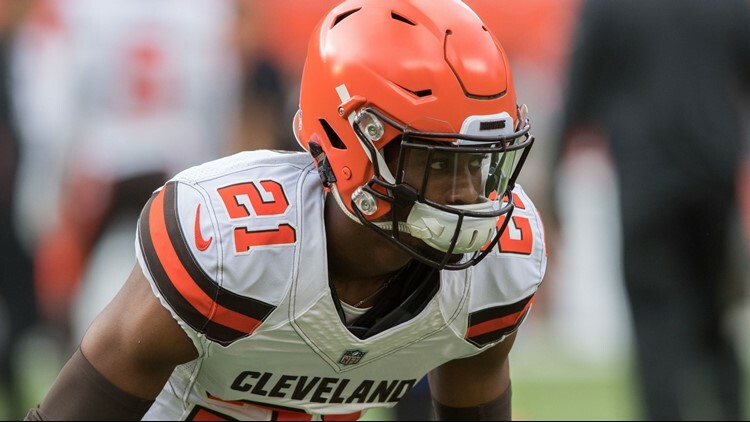 BEREA, Ohio -- Cleveland Browns rookie cornerback Denzel Ward was one of three players who did not participate in Wednesday’s practice, but interim coach Gregg Williams is not worried about his status for Sunday’s game against the Atlanta Falcons. Williams is confident that despite a hip injury, Ward will be able to get on the field during the final two days of practice. “He had a good day today,” Williams said of Ward following practice. Earlier this week, Williams spoke highly of Ward’s skills, and said they were even more noticeable in their absence. 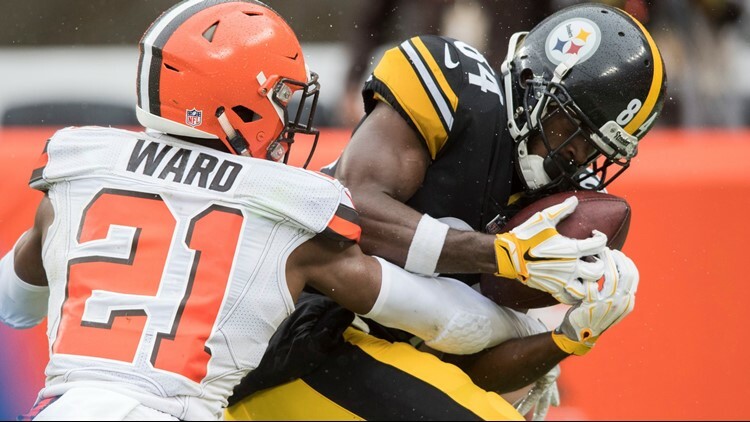 Ward suffered a hip injury before halftime in last Sunday’s 37-21 loss to the Kansas City Chiefs at FirstEnergy Stadium in Cleveland, and that brought his day to a premature end. “He is a pretty good player,” Williams said. Ward is the second player in NFL history to record multiple interceptions, passes defended and fumble recoveries with at least one forced fumble over the first eight regular-season games of his career. Ward recorded three interceptions, nine passes defended, two recoveries and one forced fumble over the first half of his rookie season. Ward ranks first among rookies in passes defended and fumble recoveries. Additionally, Ward is top-five among first-year players in forced fumbles and interceptions. Ward is top-five among all NFL players in interceptions and passes defended. Although Williams expects Ward to be back on the field this week, he is making sure there is a different dispersion of repetitions in practice in order to be better prepared for Sunday’s game against the Falcons at FirstEnergy Stadium in Cleveland. “I trust all of those guys,” Williams said. “I have been really impressed with them since they have been here and since we have had the chance, in the short amount of time, to work with that. The big thing is what we can control and what I can control is what is here. Have to help those guys. Have to help them more and continue [to help them] more. 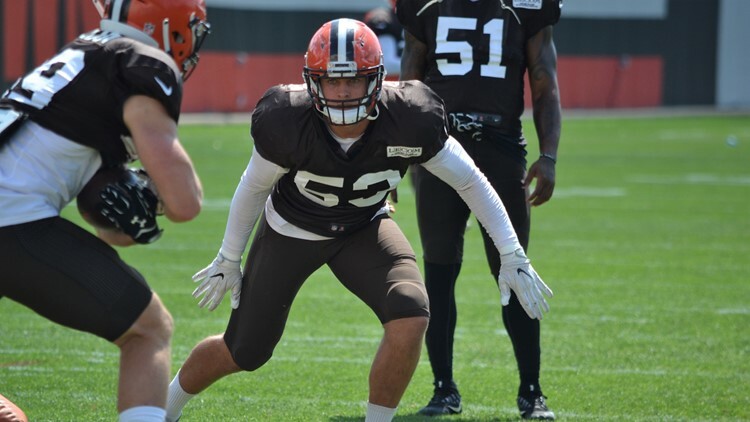 BEREA, Ohio -- The Cleveland Browns began practicing for Sunday's game against the Atlanta Falcons at team headquarters Wednesday, but they did so knowing they will be without two key defensive players who were placed on injured reserve prior to the on-field work. The Browns will have to replace middle linebacker Christian Kirksey (hamstring) and cornerback E.J. Gaines (second concussion in a month) ahead of Sunday's game against a Falcons squad that has one of the most productive wide receivers in the NFL, Julio Jones. The Browns will address the media after practice.